Discussion in 'Earl's Mill' started by M Kerkvliet, Jun 18, 2007. 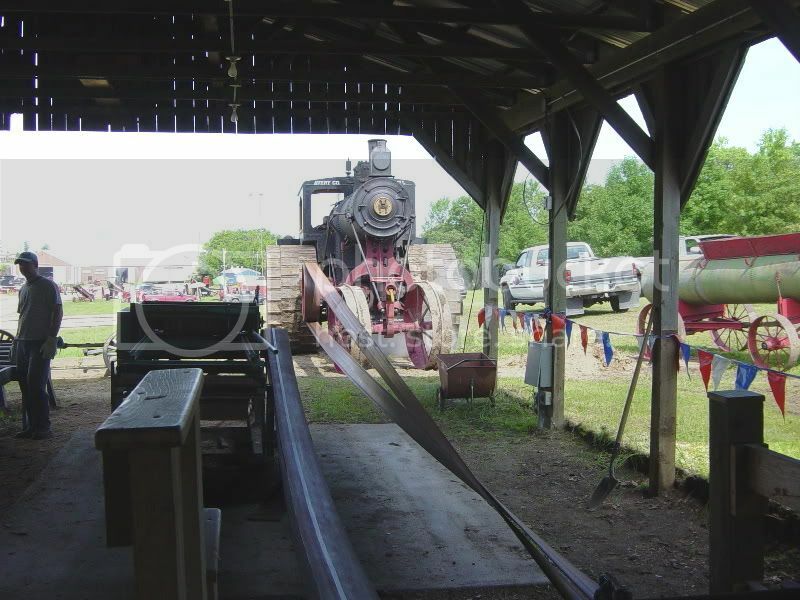 The Avery crew had the pleasure of sawing on on Earls Sawmill on Steam School weekend! They always call us for the tough work...! I took a few pictures of the nice day we had on Saturday. Not sure how much lumber we cut, but maybe Roger will inform us as to those numbers. Most was cut into 1" boards, but there were a few 2X's cut, as well as some trim material for the Trolley shed that John Beck is building on main street. First, Jim Bridens 40-120 Avery in the belt working. Kelly Muhl was engineer and Gary Muhl, Tim Kerkvliet and I were fireman for this run. See... we were really working. Roger knows he can push us hard... Were up for it! 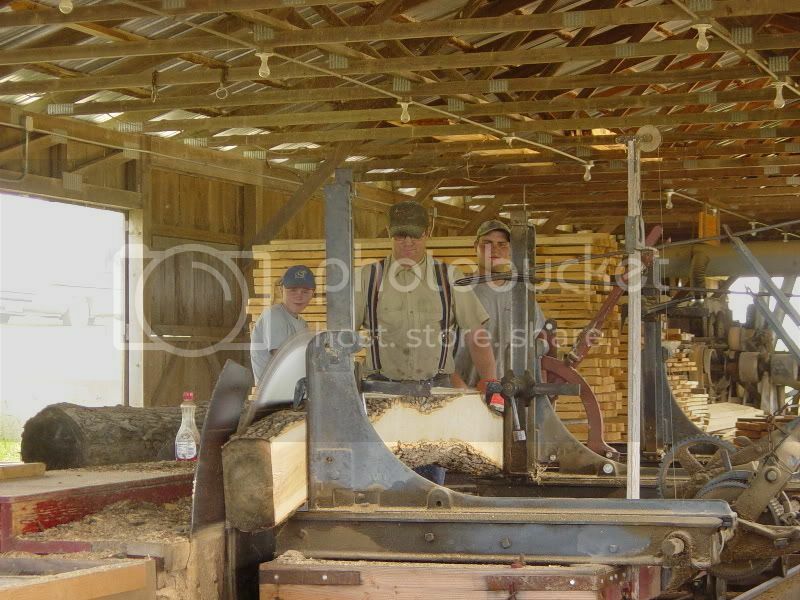 Roger Meyer, his son Adam, (left) and Jeff Busby hard at work in the mill. I called this log the "wonder log". I still have not figured out why Roger wanted that one! Another shot of a more reasonably straight log! 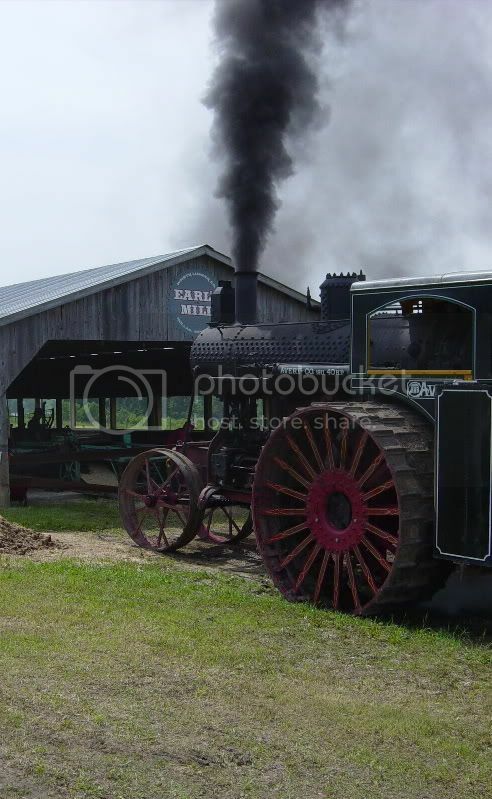 We always enjoy working with the Merlyn, Roger, Dave, Jim, Adam, Jeff, and the whole crew at Earls Mill. There is a lot of good natured "ribbing" that goes on, and we all go away happy with a good sense of accomplishment. 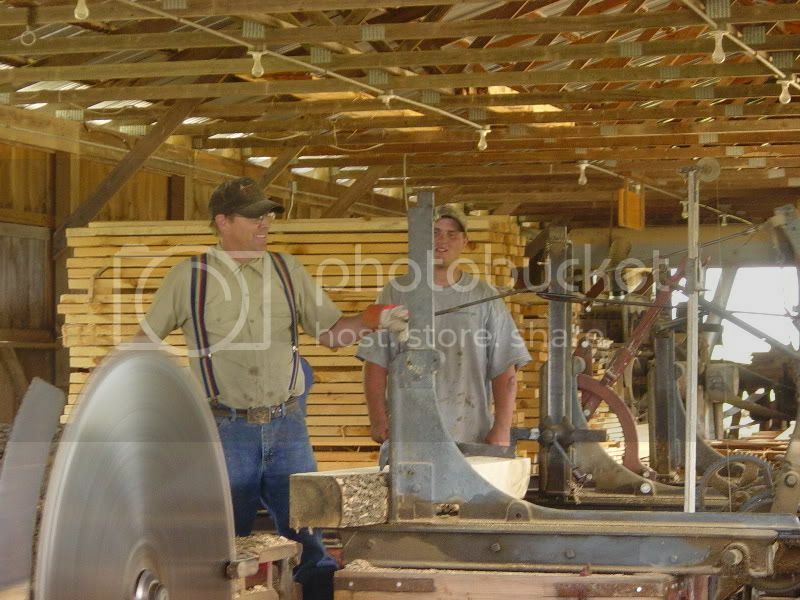 All lumber sawed, cured out, and planed at this saw mill is used on the show grounds for building projects. That's the truth Mark. There sure wouldn't be a Ortner Tool Shed without the lumber from Earls Mill. The crew's hardwork really is appreciated. Super pics, Mark! I missed you guys on Saturday (). I may have to push the Avery to spot #3 in my favs since the 353 wasnt running Saturday!! Oh just kidding--maybe. I'm glad to get a glimpse of the action! !